We know almost everything about cats and dogs and can even read their mood by the way they move their tails. But what about other animals? It turns out that they’re just as amazing as our pets! Did you know lemurs can drink alcohol and stay sober, bumblebees can play football, and mosquitoes remember when someone has a bad attitude toward them. These are just a few cool traits from different animals. Bright Side isn’t going to read a school biology book to you. We just want you to know some facts that are never mentioned in these books. When you’re trying to swat a fly, to the fly your moves look like a slow motion video. The thing is, its tiny size is compensated by a quick metabolism and a high perception of speed. So a fly avoids your hits just like Neo from The Matrix. A bat’s life is tough. Yes, they orient themselves well with the help of ultrasonic noise, but they have to hear well, and to hear well, they need big ears. But big ears make it difficult to fly because they waste more energy. It’s a vicious circle. Lemurs can tell a 1% alcohol solution from a 5% alcohol solution and prefer the solution that contains more alcohol. And they don’t even get drunk. The thing is, they possess a “fast” version of alcohol dehydrogenase, an enzyme that helps process and neutralize alcohol. A human’s body also has this enzyme, but it works slower. Male anglerfish lose their identity during mating season. When a male meets a female, he bites her, gets fused to her, loses his shape, and all of his organs except his gills and testes die. At that point, a male is just there to inseminate the eggs. Australian kites have learned to use fire to hunt. During wildfires, they catch their prey by waiting for them to try to escape from the fire. Sometimes these birds even set forests on fire on purpose using burning and smoldering tree twigs that they pick at places where wildfires have already occurred. We all know that a peacock’s tail attracts peafowls, but it’s not just because of its beauty and brightness. When a peacock meets a female, he starts shaking it and produces low-frequency sounds. As a result, the peafowl’s crest starts trembling. Maybe she takes this as a sign that someone is really interested in her. We all know that crows are clever birds and that they sometimes make fun of each other. But it also turns out that New Caledonian crows are smarter than scientists previously thought. They can create tools using different materials: for example, they can make a long stick out of a collection of short ones. Giraffes’ tongues are so long, they can lick their own ears. Many internal organs in both human beings and animals perform functions that we have no clue about. For example, the uterus plays an important role in the cognitive process in rats. It’s actually all about reproductive hormones: when their levels change, the brain notices. So changes in estrogen levels are accompanied by changes in one of the main memory centers, the hippocampus. But scientists haven’t conducted any studies on human subjects yet. If flamingos don’t get enough food, their feathers may become grey. The thing is, these birds aren’t born pink, they become pink thanks to a compound contained in their food. They eat blue and green algae that turns pink when digested. Flamingos’ egg yolks can also be pink. Bats can drink the blood of human beings. Don’t believe us? It’s true. Zoologists from Brazil have revealed that hairy-legged vampire bats living in South America drink human blood, though they usually use birds for this purpose. The researchers assume that these bats were forced to expand their diet due to a lack of food. Orangutans share their past experiences. Researchers at the University of St. Andrews have noticed that in dangerous situations, female orangutans with their babies try to find a place to hide first, and only once they’re safe they make lip smacking sounds informing each other about the danger. Thus, female orangutans are telling their babies about what kind of danger they’ve just escaped from. Swamp sparrows living across the north-eastern United States sing songs that are more than several thousand years old. From generation to generation, they sing their “hits” and their oldest song first appeared around 1,500 years ago. Scientists have shown how much food a hamster can carry inside its cheeks. A rodent was offered a bowl with food and it managed to carry 20 nuts and candied fruits at a time. The foods that the hamster couldn’t manage to put inside its cheeks, it carried in its teeth. Mosquitoes remember if you have a bad attitude toward them. Sometimes we try to catch a mosquito with our hands and fail. These claps we make also matter. Scientists from Seattle have found out that mosquitoes can remember circumstances connected with a certain smell, and if something bad happens to them, they’ll try to avoid the corresponding smell even if it’s a human being’s smell. Whales and dolphins are famous for their high intelligence level, their songs, and their complicated social relationships. They also have some hunting tricks. For example, humpback whales surround fish with air bubbles so that the fish cling to each other and it’s easier to eat them. 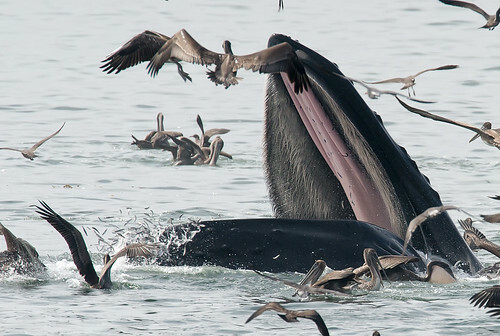 They also have another recently discovered trick: whales choose places where there are many seabirds and stick their open mouths out of the water. Fish think that these are safe caves and swim inside. When there are enough “dwellers” inside the cave, the whale closes its mouth. It turns out spiders also have milk. Female jumping spiders produce some drops of milk after laying their eggs. When the small spiders hatch, they drink this milk, and then their mother starts feeding them on its own. It lasts for about 20 days. The spider milk examination has shown that it contains 4 times more protein, fats, and carbs than cow’s milk. Many people are curious about why penguins have such a strange gait. The answer is really simple: they’re fat. To balance and not to fall down, they wobble and slightly tilt toward the ground. Naked mole-rats can live without oxygen for 18 minutes. They also live 10 times longer than ordinary rats (around 30 years), never suffer from cancer, and are immune to certain kinds of pain. Scientists have studied these rodents trying to understand what their secret is. Perhaps they’re the key to a cure against oncological diseases. Cockroaches can protect themselves. Emerald jewel wasps use them to feed their larvae. They sting a cockroach, and when the venom takes effect, the cockroach becomes passive and can be led by its antenna into a hole. If a cockroach detects its enemy in advance, it kicks at the wasp with its spiny hind legs, striking the wasp’s head multiple times. As a rule, after these kicks, the wasp flies away. Dogs and cats are not the only creatures that can read people’s emotions. If you show a goat a picture of a person with a positive facial expression and a picture of a sad person, the goat will prefer to approach the photo of the happy person. Horses also can read our emotions and even experience stress when someone in a bad mood is around. Guinea pigs are reproductive record holders. A female guinea pig can get pregnant 55 days after its birth. 2–15 hours after giving birth to their babies, guinea pigs are ready to mate again. Whales are mammals and they feed their babies with milk. But it’s not that easy to do this underwater. So mother whales have special muscles that allow them to squirt the milk into their babies’ mouths. 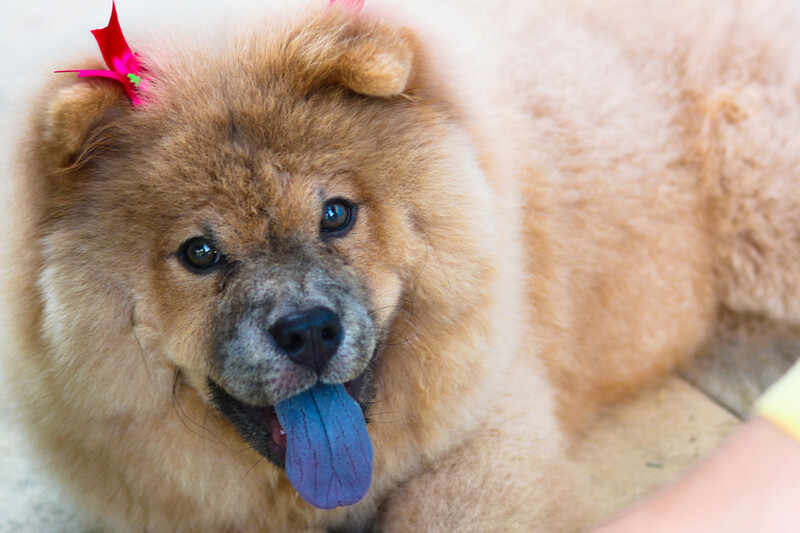 Chow Chows are dogs with dark-blue tongues. Some researchers think that this trait was inherited from an extinct species of the polar wolf. According to a Chinese legend, chow chows were so curious that one of the dogs licked the sky and that’s how they got their blue tongue. Bumblebees can be taught to play soccer. There was a study that showed that to get some syrup, a bumblebee had to transport a small ball to a defined location. Initially, a human being pushed the ball and then gave the bumblebee a treat. Later, the bumblebee started to transport the ball on its own. The most surprising thing was, other bumblebees did the same thing after looking at their peer. Sea skates and human beings have something in common. It’s known that skates’ pelvic fins have turned into limbs that allow them to walk on the bottom of the sea floor. Last year, scientists found out that little skates’ limbs are controlled by the same neurons and genes as in terrestrial animals. Thus, skates can walk around just like people. The Austrian Circus Roncalli phased out the use of wild animals in its shows in the 1990s. The current focus of the Circus Roncalli is on poetic and acrobatic numbers. Today, holographic elephants wave their trunks, horses run in circles waving their shining manes, and a bright orange fish swim the length of the arena. Which fact is the most surprising to you?